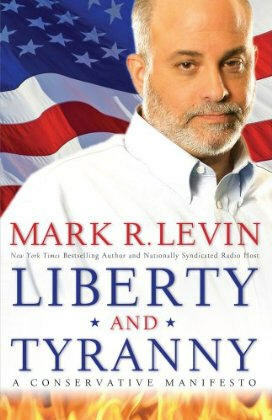 Mark Levin writes a series of essays highlighting the conservative thought over against the "statist" (as he calls the liberals) agenda for our times. He calls his readers back to the Constitution, and principles of liberty that shaped our great nation. This is a must read for every freedom loving American regardless of their political party. 245 pages of good stuff, hardcover, (C) 2009. I've heard its a great book. It is worth the read. Also, Mona Charen's Do Gooder and Stupid Idiots are up there as well.